Memorial Hall was built by volunteers who formed the Bickford Soldiers Association (Carlisle formerly being Bickford). The Association was formed in 1919 and acquired land to build the Hall which was dedicated to the memory of those who served in World War I. Memorial Hall was used for returned soldiers to learn a trade and local residents hosted morning and afternoon teas. A need for a senior citizens social centre was identified and following community based meetings it was declared a social centre be created for the benevolent relief of elderly persons of all classes, creed, colour and financial status. The project saw local fundraising efforts and the support of Councillors Harold Hawthorne, JA (Mick) Lee and Tom Wright. Perth City Council, having taken over the Bickford Soldiers Association Memorial Hall demolished the dilapidated building and built the still sanding structure you know see on Memorial Avenue. 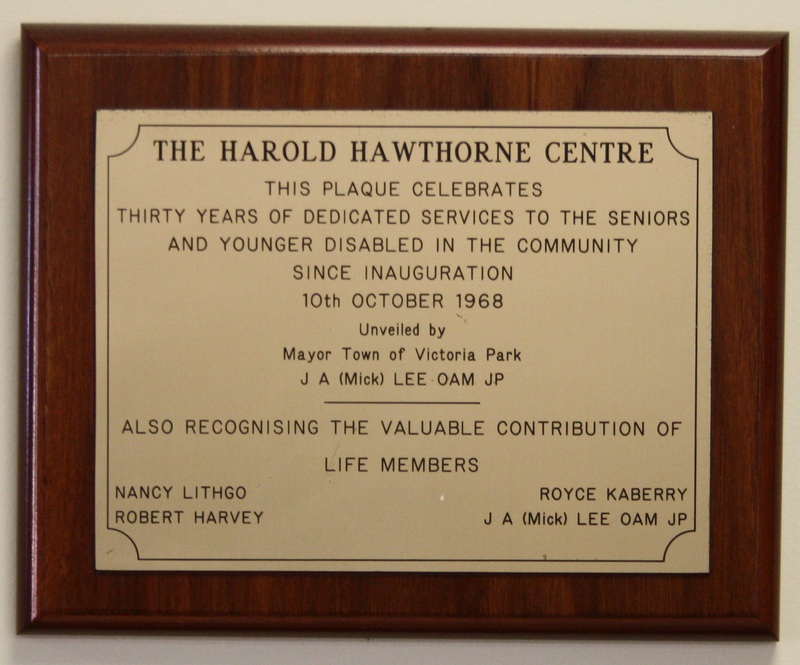 Harold Hawthorne Senior Citizens Centre was officially opened, it's name a recognition of the service and efforts of the late Harold Hawthorne, who served as Councillor for Perth from 1950 to 1966. Use of Harold Hawthorne Senior Citizens Centre gained in popularity with local residents visiting for activities such as darts, bowls and bingo. The Centre offered Meals on Wheels services and land was acquired on adjoining blocks to build units for the provision of affordable living for senior citizens. Despite being damaged by a fire thought to be the work of vandals in 1978, repairs were made and the Centre continued to be a local hub for senior citizens. 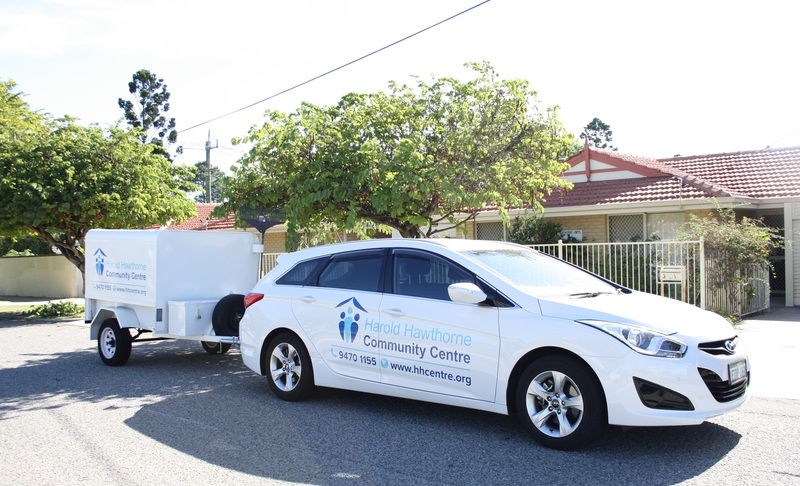 Following the commencement of Government contracts in 1988 the Centre expanded to be able to provide Home and Community Care (HACC) services to elderly people in the area. The dining room, named Harry's Diner also continued to grow in popularity becoming known for its affordable and good quality home-style lunches. In 1996 the Day Centre (no know as Social Activities Centre) was built and opened. 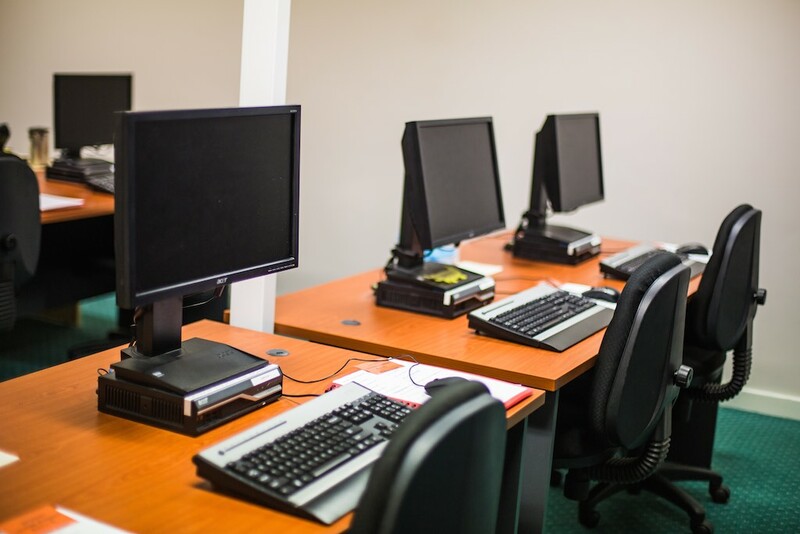 The Centre has under gone a number of upgrade and refurbishment projects to expand service provision and enhance accessibility to people with disabilities. 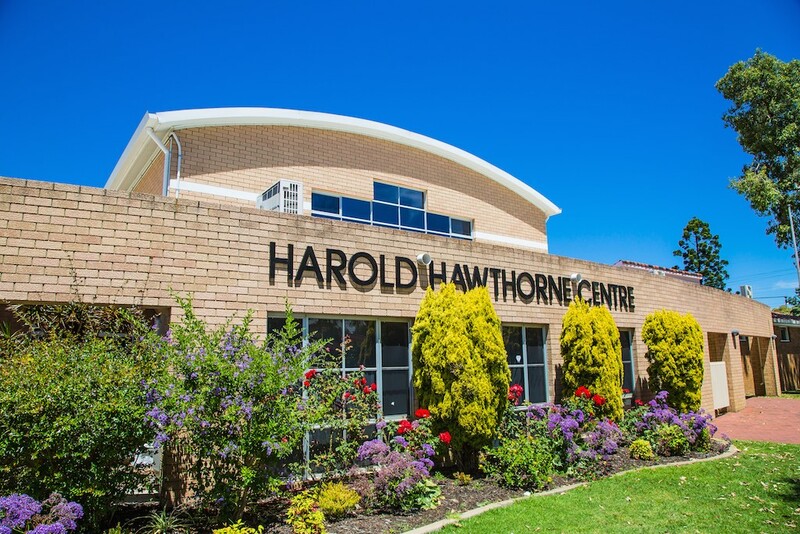 The Social Activities Centre began to run it program for young people with disabilities and the organisation re-branded to become Harold Hawthorne Community Centre, with a vision and mission to be a vibrant community centre supporting independence, personal growth and well-being of seniors and younger people with disability in the local community. Harold Hawthorne, a Carlisle resident, was well known, hardworking and committed to community service. On discharge from the army in 1946 he started buying and selling rags using a hand cart. His business Cotton Traders of Australia grew to great success with 7 trucks and 14 staff at his Carlisle factory. He was involved in a number of local charity and fundraising causes and enthusiastically supported the creation of a senior citizens centre in Carlisle. As well as being a respected businessman and serving on Perth City Council from 1950 to 1966, he was a Justice of the Peace. Harold sadly passed away before the campaign to develop a senior citizen centre in Carlisle came to fruition, however was considered a major contributor to its successful creation and following, it's namesake.